I arrived at the town center in Buwenge before Pastor Fred was ready for me. After purchasing a bottle of water at the supermarket I stepped outside. An invitation from Achmed resulted in my sitting on a bench next to him and several other men who were speaking in Lusoga. Had they conversed in Luganda I might have had a chance to understand and participate in the conversation, but it was not to be. Achmed is a business owner who transports produce to and from various places around Kampala. He was quite interested in my favorite meal and then buying me lunch that day before I headed back to town. Although I politely declined, he persisted. I also discovered that he and another nearby man were negotiating which would become my husband. Thank goodness Pastor Fred arrived with his wife Justine and their baby Claudia. 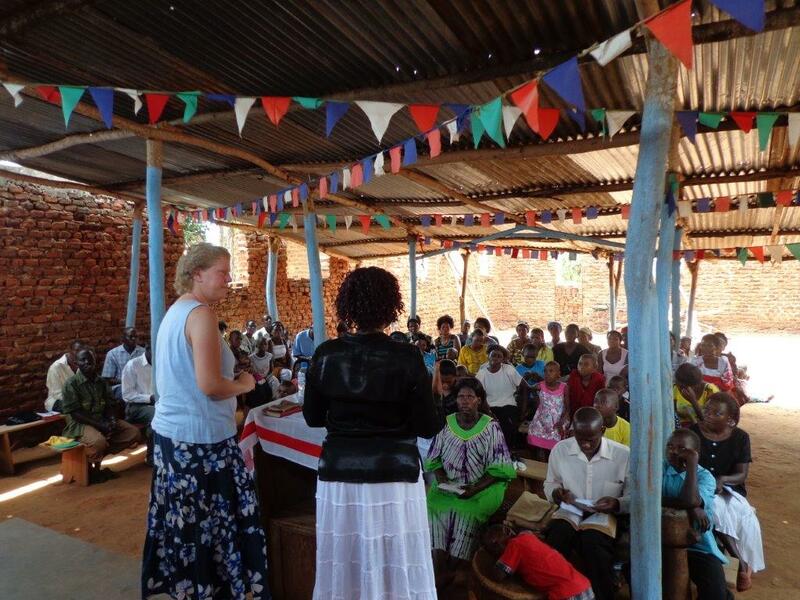 Pastor Fred has been so instrumental in arranging teaching and ministry opportunities in the Jinja area. This week he invited me to preach a church he planted about 10 years ago. 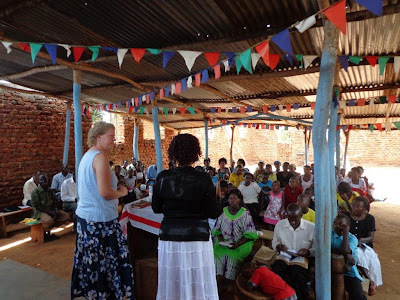 Victory Family Center is similar to so many other churches in Uganda. Unfinished brick walls sopped wherever the brick supply was finished. Metal sheets supported by rough timber sticks shielded us from the sun (and half baked us too). Worship had already begun and the sounds of joy filled the enclosure. I’m not sure God has called me to be a preacher but three invitations could not go ignored. I continue to feel the Holy Spirit highlighting a few key concepts to me, concepts that are somehow engrained in this culture – and to be honest, probably every mind since the Fall. Given the opportunity, I teach about things that have to do with the way we think and what we think about. Battlefield of the Mind and The Art and Science of Thinking contain such essential messages if we are to gain freedom from the oppressor. I’ll never really know how I performed as a preacher, and maybe that’s a good thing. Lots of people came to the alter for prayer to be set free from captivity in their own minds. 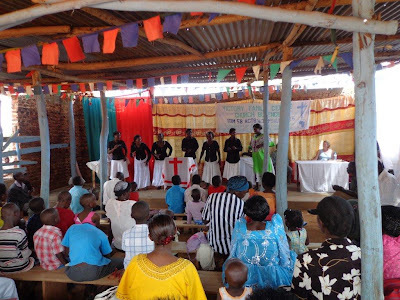 At the same time we prophesied, prayed for healing, and then…all the children started coming. Something happened in the children there. I don’t know how it started but eventually almost every child came for prayer seemingly without prompting from their parents. Maybe it was the muzungu factor but God was showing me that we need to pray for protection over these minds that have yet to be corrupted by the enemy. 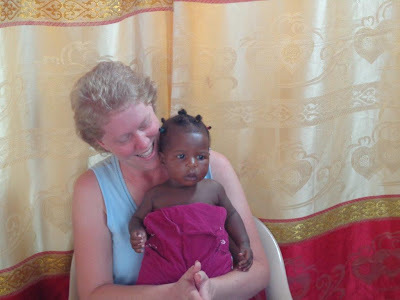 Please join me in continuing to pray for these children and that they not become gripped by the same generational plagues so prevalent in this country.